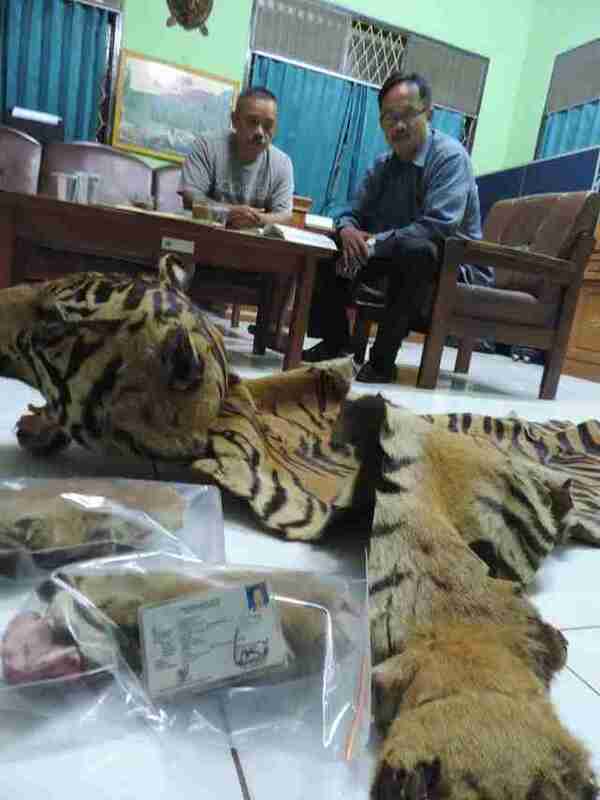 Two wildlife traffickers are now facing jail time in Indonesia, after an investigation caught them attempting to sell parts of two Sumatran tigers - a critically endangered species with only 400 members left in the wild. 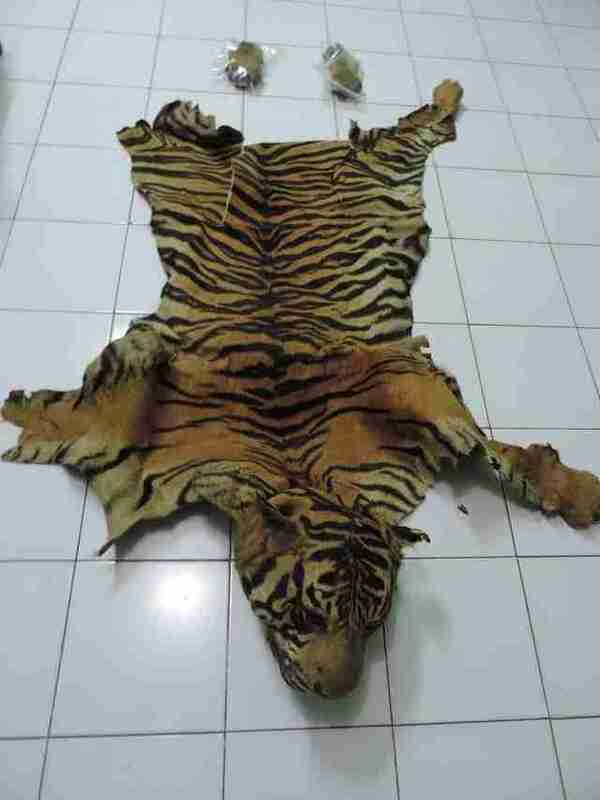 The men, named Wdy and Smr, were caught shipping one whole tiger skin, two stuffed tiger paws, one stuffed tiger head and a tiger claw in the Indonesian city of Banda Lampung and Merak seaport, respectively. The traders were advertising their products online both for use in traditional medicine and as home decorations. "The tiger trader broke Indonesian Law No. 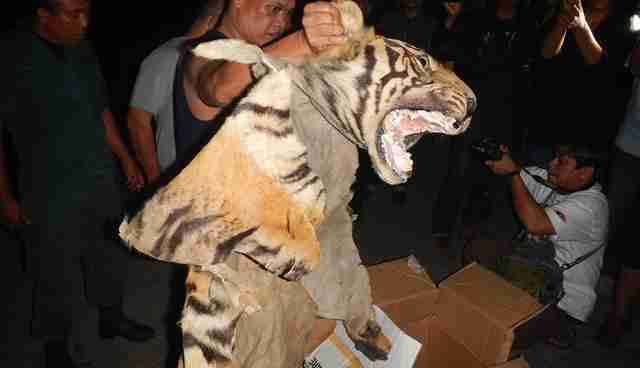 5 year 1990 by selling protected wildlife parts," said adjunct senior commissioner Sulistyaningsih of the Lampung Police. "The trader will be charged a maximum of 5 years prison and a maximum fine of USD $10,000." 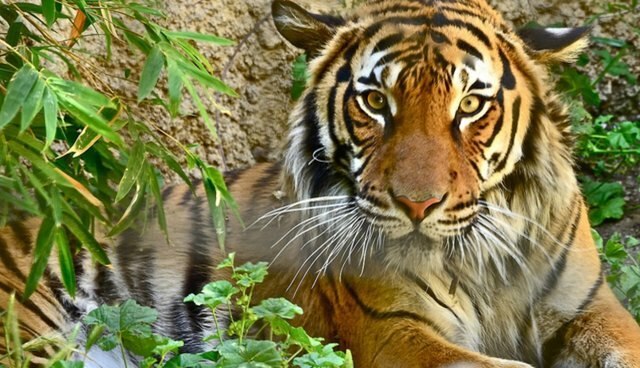 Sumatran tigers, a species only found in the wild in Indonesia, have been forced to the edge of extinction in recent years by the wildlife trade and habitat destruction and fragmentation. The dwindling subspecies is often targeted by poachers for their coats and parts. The operation was carried out by the West Java Natural Resources Conservation Agency, the Indonesian Police and the Wildlife Conservation Society (WCS). "These recent arrests send a clear message to wildlife traffickers that Indonesia is serious about wildlife crime," said Joe Walston, WCS Vice President for Field Conservation. "We commend the West Java Natural Resources Conservation Agency (BKSDA) of the Ministry of Forestry and the Indonesian Police Lampung Office for working to save Indonesia's wildlife heritage from illegal wildlife trafficking. Collaboration with Indonesian authorities is crucial in enforcement actions like these."